In the past year alone, the Healthcare industry has found its way to the center target of cyber criminals’ agenda. These threats have exposed tens of millions of customers’ identities around the world-- costing up to $1 billion US dollars in money lost. Shockingly, only a staggering 33% of professionals in the industry have taken preventative measures of protecting themselves properly. With millions of people across the world entrusting healthcare organizations to protect their identities, and these same organizations relying on their critical infrastructure to secure it all, it’s imperative to not just have the right cybersecurity solution in place to stop an attack before it has a costly impact, but to ensure future attacks are preventable and avoided before they happen. 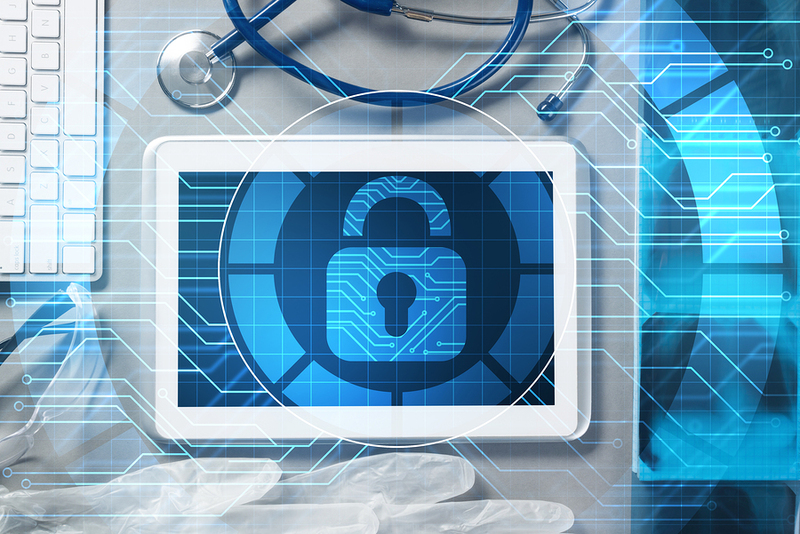 Today we’ll touch on some of the biggest cybersecurity trends facing the healthcare industry for 2019, and some recommendations to combat them. As in 2018, the year of 2019 is expected to see growth in the realm of cyber security threats. More specifically, the healthcare industry. The healthcare industry faces massive scrutiny; If information is power, then information about people’s health histories is about as powerful as it gets. The bad news? Cybersecurity threats to the healthcare industry show no signs of slowing down let alone stopping. But with diligence, training and the right help, the possibility of a data breach becomes a manageable concept. The intermingling of personal content and viewing on the Internet, and the activities that are done for the good of the business are beginning to overlap in recent years. For example, independent contractors working from home and using the company laptop for personal use or non-business matters. Essentially, these employees often aren’t aware of how to disable settings, such as cookies, that track their every move. They also on occasion don’t employ nearly enough safety features when accessing secure files. Unfortunately, they don’t believe that it’s actually a problem, when indeed, it is. Negligence like this can lead to malware attacks, and viruses that will infect and steal private information-- with a huge price tag attached to it. The motive for hacking healthcare organizations, is quite simple and comes down to two concepts: money and security. Globally, the entire healthcare industry is worth roughly a trillion dollars. Apart from money, keep in mind the information that healthcare companies keep in their databases. For example, a phishing attack could be used to gain access to a healthcare company’s records, where a cybercriminal could steal your social security number and health insurance information so that they can get free medical care. This level of personal security makes this field a big target this year. Attackers are getting more sophisticated, united and intelligent. They have evolved from single basement hackers, into large scale crime rings orchestrating intentioned attacks. Therefore, security training and guidance is critical to minimize exposure to phishing attacks and malware intrusion. It’s also crucial to reassert policies and penalties for staff with bad intentions. Unfortunately, a simple once a year training will not hold up any longer. The assumption people see things once and remember them completely is simply not realistic. Especially with critical information, it isn’t worth the risk. Begin assessing current employee knowledge and build a culture around security from there. As technology has exploded in recent years, medical devices have increasingly been understood as a huge cybersecurity risk. According to a recent study conducted at the Ponemon Institute, 80 percent of device-makers and healthcare delivery organizations rate the level of difficulty in securing medical devices as very high. Meanwhile, 67 percent of device manufacturers and 56 percent of healthcare organizations are expecting a security breach of a device over the next 12 months. With security threats increasing and becoming more diverse and dangerous in nature by the year, cybersecurity has never been more complex to understand or more critically important to the success of a business. With keeping the above trends in mind, organizations will be better equipped to handle threats that come their way. Developing a comprehensive and straightforward cybersecurity environment within an organization will better prepare you to avoid a data breach and maintain your good reputation.